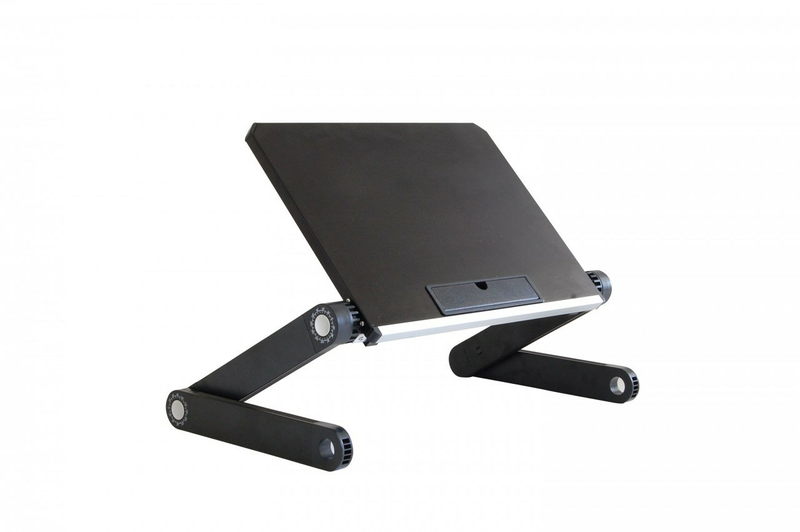 Simple, Lightweight, and Compact - the WorkEZ Light Ergonomic Laptop Stand makes computing and reading more comfortable just about everywhere. Tired of holding your tablet? Prop it up at the perfect angle with WorkEZ Light. Stop Hunching! Legs elevate the panel to 12", putting screens & books at eye-level. Stop Squinting! The panel rotates from flat to vertical to decrease screen glare. WorkEZ Light adjusts up to 12" tall & the panel tilts from flat to vertical. To adjust the stand: push the joint button, rotate to the desired angle, release. 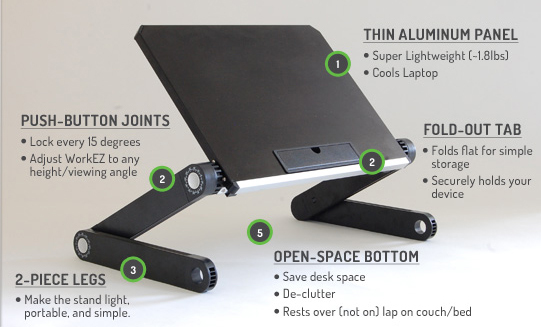 Looking For A Laptop Riser? The perfect laptop riser for your desk. Use with or without a separate keyboard. WorkEZ Light is Super Lightweight! Weighs less than 2 lbs! Fits in large laptop & carry-on bags. Holds tablets at the optimal viewing angle. Works w/ all tablets, e-readers, books.